A set of exercises to get us talking about the economy, and thinking about how we can shape its future. The economy is all around us - in fact, we are it. But often, it can feel very distant; like it’s someone else’s business. 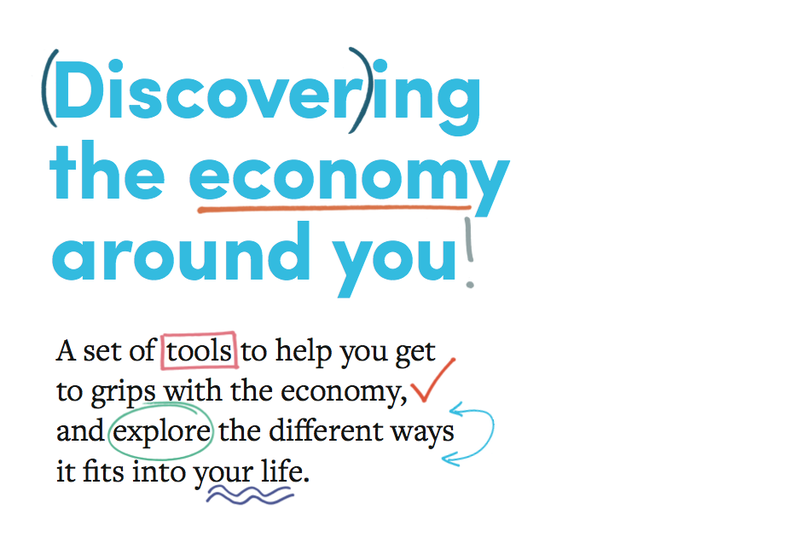 Together with the RSA Citizens' Economic Council, we have produced a set of exercises or 'tools' designed to make economics feel like it IS our business. The toolkit is for anyone and everyone! Use it in a classroom, in a group of friends, at work, or a family gathering — anywhere you’d like. The tools are designed to work in pairs or groups so you can share your thoughts, but you can give them a go on your own also, you'll just have to share your thoughts later! 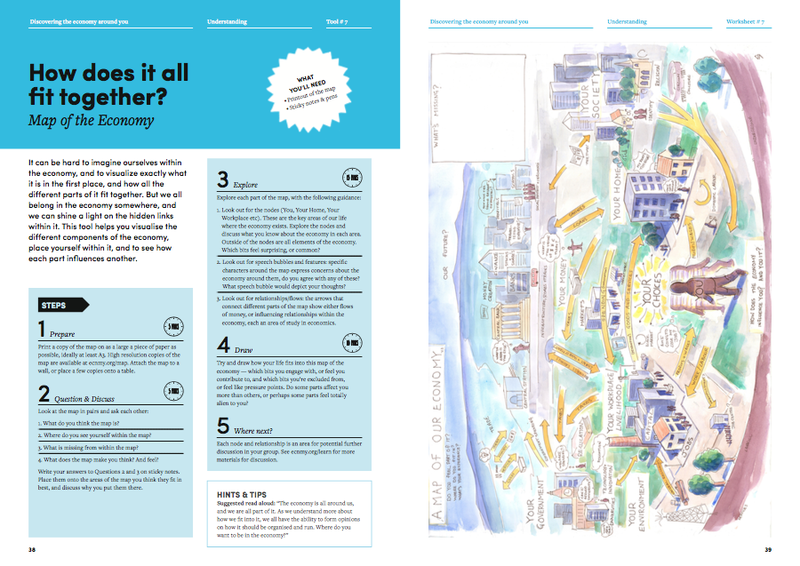 If you are a community leader, teacher, or just like getting people together, then this toolkit can provide hours of activity for your group. The activities are designed to be used by any age from 12 up to 112, so what are you waiting for? Scroll down, and download below! Our research at Economy has helped us shape an innovative approach to engaging more people with the subject of the economy. We know that many people simply don't feel like the subject is theirs to talk about at all, or (quite rightly) will decide that they don't want to discuss it anyway. We know that this stems not only from a feeling that it's confusing or boring to talk about, but also that the subject (for whatever reason) belongs to experts only. That's why we start with 'Identity': we need to get over the initial misconception that economics is just for experts, and that in fact, it's for everyone. Find out how you feel about the economy, whether you identify with it at all, and all the ways in which it fits into your life. Talking about the economy can be confusing, right? 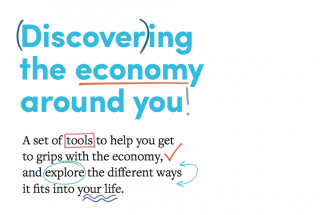 Get to grips with the jargon and start piecing together what the economy really is. We’re all part of the economy at the end of the day — which means we’ve all got the power to shape it. How might you want the economy to change, and how could you do it? Take a flick through the PDF and see which tools you'd like to give a go first. The tools are designed to work by themselves, but they also are in an order that works well from start to finish. Use one, or use them all - it's up to you! You may also find the guidance below helpful. 1-4	 Best for people that might not feel comfortable talking about economics, or feel that it has nothing to do with them. 5-8	 Best for people that are keen to improve their understanding of some economic concepts, or explore a simple definition of what the economy is. 9-13	 Best for people that are somewhat comfortable talking about the economy, helping them develop their opinions on what they want from the economy, and how to go about making change. So why not download the toolkit, and give it a go?! 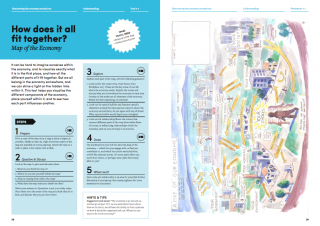 Everything you need is within the PDF, simply select a button below to download now. The printer friendly version has fewer colorful divider pages to save ink when printing at home. We'd love to hear how you are using the toolkit. If you have any questions about its use, or suggestions for its improvement, then please do get in touch!